Competition: as media partners for the Global Design Forum, Dezeen is giving readers the chance to win one of five pairs of tickets worth £395 each to the event in London on 16 and 17 September, which features speakers including Peter Saville (pictured) Jaime Hayon and Ross Lovegrove. The Global Design Forum combines a series of talks and debates lead by key design industry figures and international designers over two days, organised by the London Design Festival. Tickets will allow delegates to attend every event in this year's programme and are each worth £395. Opening night at the V&A museum will see artist and designer Peter Saville in conversation with journalist Peter Morley, followed by a drinks reception in the museum’s Paintings Gallery. The next day at London's Southbank Centre, the full-day programme will include four main sessions and over 20 international speakers. Designers Ross Lovegrove, Jaime Hayón and Michael Young are all confirmed to speak at the event. In one section, entrepreneurs and inventors will present their innovations to a panel of experts then the audience will vote for their favourite. All ticket holders become members of the London Design Festival’s VIP Programme, giving access to a bespoke series of events throughout the festival from 14 to 22 September. For a full schedule and further details visit the Global Design Forum website. The Global Design Forum is the agenda-setting thought leadership event for design, organised by the London Design Festival. The event is a unique platform for the most challenging thinking about the future of human society and design’s role in it. Speaking at this year’s Forum are individuals from a variety of business backgrounds where the implementation of intelligent design thinking is absolutely core to their strategy and competitive advantage, and that of their clients. 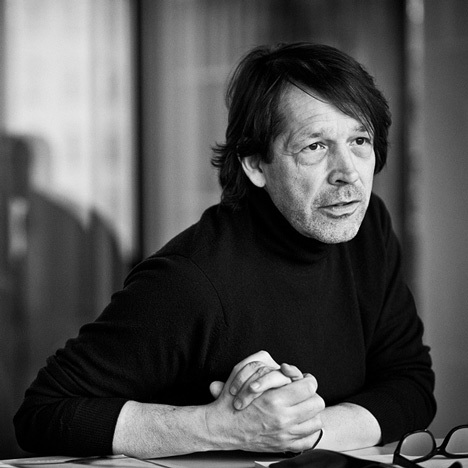 The Global Design Forum will start with a bang at the V&A as British artist, designer, art director and cultural game changer Peter Saville will engage in a provocative head-to-head conversation with leading journalist and commentator Paul Morley. With these two in the hot seat, you should expect the unexpected! The talk will be followed by a drinks reception for all delegates in the museum’s Paintings Gallery. The next day, on Tuesday 17 September, delegates will come together at the Southbank Centre for the full-day programme, which includes four main sessions and over 20 international speakers. Sessions will explore where innovation is at its most exciting, most relevant and farthest reaching; five bright entrepreneurs and inventors present their ‘world shaking’ ideas in only five minutes, scrutinised by a panel of experts and voted on by the audience; as cities grow in size, experts from around the world ask how creativity will be central to a ‘smart’ city’s future success; and as communication, production and distribution evolve, what new challenges does that present to designers and brands? Speakers on the day include advertising guru Sir John Hegarty, serial entrepreneur Brent Hoberman, designer and educator Ilse Crawford, HTC’s Head of Design Scott Croyle, Senior Vice President of BMW Group Design Adrian van Hooydonk, and designers Ross Lovegrove, Jaime Hayon and Michael Young, to name a few. Attend the Global Design Forum for provocative thinking, game-changing ideas and fresh insights.